Angus Hogg has kindly written an article looking at how Stonechats are faring in Ayrshire in the period 2013 to 2017. 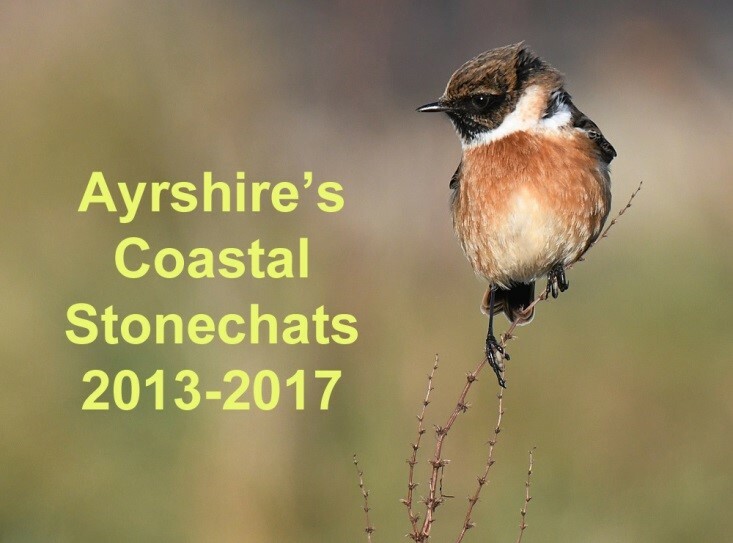 This follows on the survey work done in 2013 following the severe winters that almost wiped the species out in Ayrshire. This entry was posted in News on 04-Feb-2018 .